Enjoy the art of Sri Chinmoy and check out the website daily.srichinmoyart.com, bringing you one new artwork every day! By clicking on the picture you can view it in larger format. More information on his art on www.srichinmoyart.com. This book has just been released end of January 2015 by Stutisheel Oleg Lebedev, a disciple of Sri Chinmoy and participant of the world’s longest foot race, the 3100 mile race in Queens, New York. In this book you will find a first-hand account of comprehensive preparation for and participation in an Ironman triathlon. 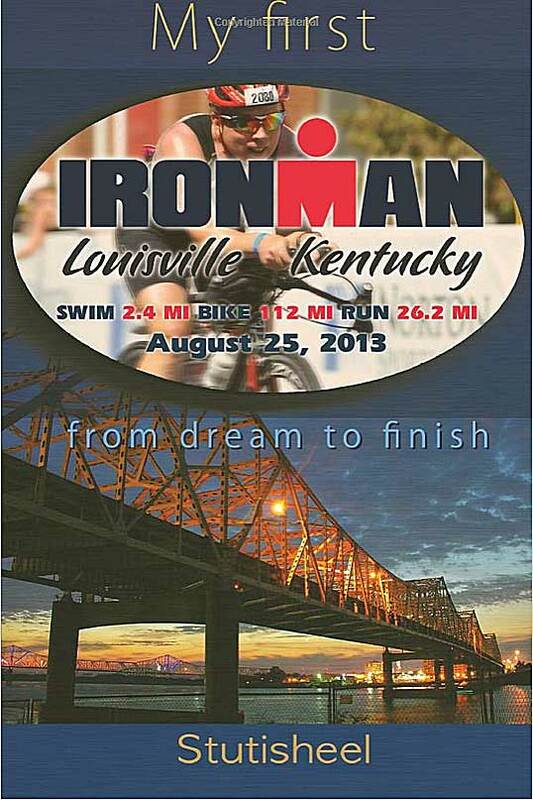 An Ironman consists of a 3.8 km (2.4 mi) – swim, 180 km (112 mi) cycling and a 42.195 km (26.2 mi) run. The author’s official finish time in his first attempt was 11:10:50. The book is for anyone taking their first steps in triathlon training and racing, and trying to unfold their ultimate potential. For more information visit his website stutisheel.org. Today we can celebrate the 41st anniversary of Sri Chinmoy’s start to play his most beloved esraj. This picture was taken at the Museum Alexander König in Bonn, Germany in June of 1980. Photograph by Kedar Misani. Many of us remember the cold January New York evening, the structure was complete and Sri Chinmoy would not only have to raise the sixty-eight solid 100-pound plate weights, but also the supporting truss and bar, which themselves weighed an additional two hundred pounds. 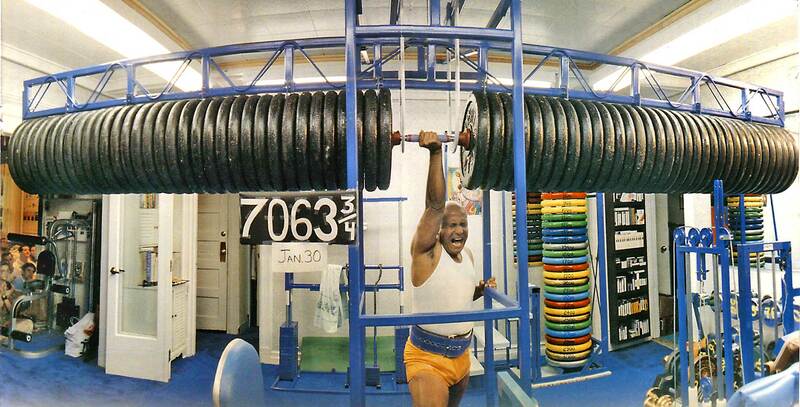 At 1.25 a.m., January 30, 1987, on his 3rd attempt, Sri Chinmoy lifted 7,063¾ pounds. Of the five attempts (1.03 a.m., 1.13 a.m., 1.25 a.m., 1.37 a.m. and 1.50 a.m.) three were completely successful – a combined weight of over 10 tons, held aloft by one human arm and an unfathomable will. Jim Smith, from the British Amateur Weightlifters Association, who had been following Sri Chinmoy’s progress since he began, put it simply: “Sri Chinmoy is causing us to throw all our current beliefs in physics out the window. Sri Chinmoy is wrecking what we’ve always regarded as normal laws. Sri Chinmoy is rewriting the physiology books all over again!” (This and many more infos on Sri Chinmoy’s life you can read on the new website Sri Chinmoy Reflections). Klick on the picture to watch it in full size. 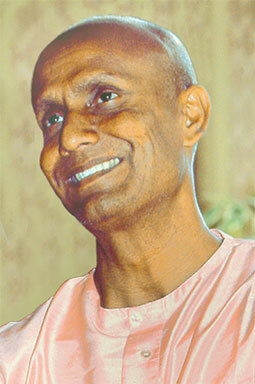 On June 12, 2001, as part of a full-week manifestation of peace in the Norwegian Capital, Sri Chinmoy spoke and meditated on peace at the University of Oslo where he was introduced and honored by Professor Per Kværne. Length: 14:31 min. Filmed and edited by Kedar Misani. 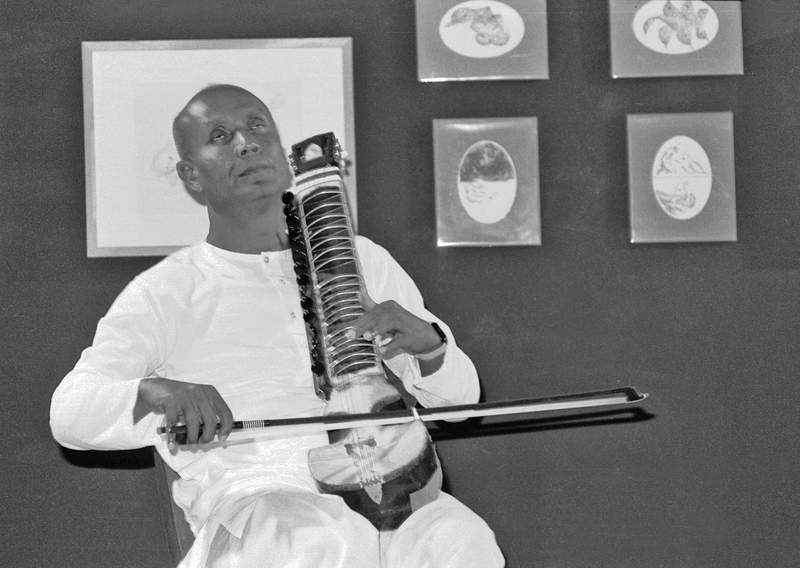 In the 1980’s spiritual teacher Sri Chinmoy started with a large series of Peace Concerts and performances on the Pipe-Organ in Churches and Concert Halls. One powerful event took place at the Christ Church Cathedral in Oxford, England on June 26, 1989 which I would like to present in full length in this video clip. 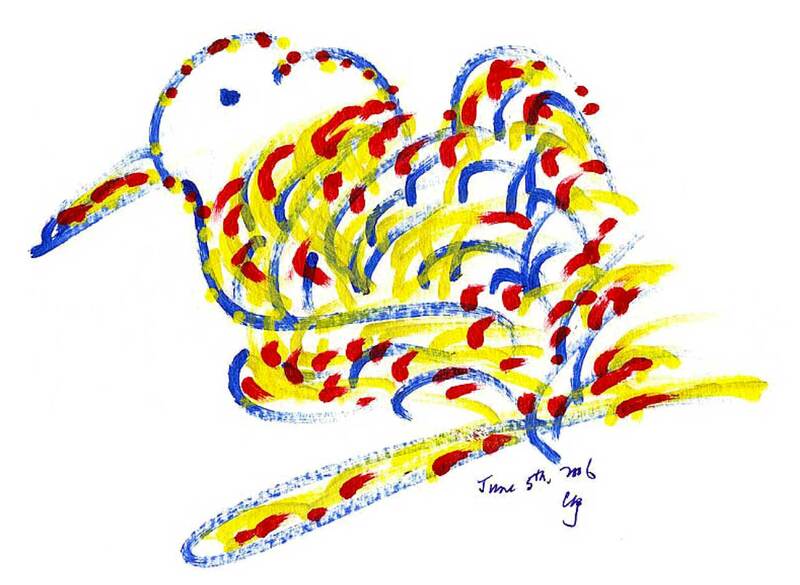 Enjoy the dynamism and spontaneity of Sri Chinmoy’s improvisations! Length: 15:49 min. Produced by Kedar Misani, kedarvideo Switzerland. Copyright © by Sri Chinmoy. Scenes from a play Sri Chinmoy wrote on the life of the Buddha, first published in 1973 by Agni Press, New York. The British ensemble “Immortality’s Flame-Waves” under the direction of Dipika Smith, have performed the play in many places around the world; this one being recorded in the Theater Stok in Zurich, Switzerland, in full length: 1:26 h. Library: srichinmoylibrary.com/siddhartha-becomes-the-buddha. Camera & Edit: Kedar Misani; Cast: Dipika Smith, Shankara Smith, Jayashri Wyatt, Suruchi Gero, Nurari Merry, Madhurima Schepel-Engelbrechtsen, Sharada Crowe.